BlackBerry made a huge comeback this month with the announcement of the new BlackBerry Z10 smartphone. Until now, RIM was largely perceived to be a sinking ship by many in the smartphone industry. Some still do. 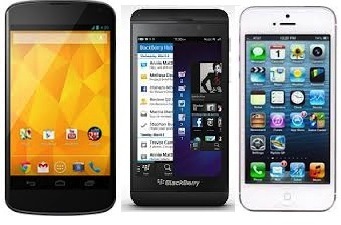 However, BlackBerry has gotten itself a makeover and announced to the world that Android and iOS have a new competitor. While Android and iOS are at the top of their game, RIM's BlackBerry devices still hold a significant amount of user base, especially in the enterprise market. It is not a surprise that BlackBerry devices will be the center of attention once they reach the global smartphone market. And, although, it's difficult at this point to say whether BlackBerry will manage to beat iPhone or Android, many people still are willing to try out new smartphones that are not made by Apple or Google. The BlackBerry Z10 comes with an 8 Megapixel camera with LED flash. The front-facing camera on this device is 2 MP along with 720p video capture capability. The iPhone 5, on the other hand also comes with an 8MP camera and so does the Google Nexus 4. But the front-facing cameras on the iPhone 5 and the Nexus 4 are 1.2 MP and 1.3 MP respectively. This puts the BlackBerry device slightly ahead of the game especially by appealing to folks who use their phone for video chatting. The BlackBerry Z10 comes with 2GB of RAM the same as Nexus 4 offers. The iPhone lags behind slightly in this area with the 1GB RAM it provides. The processor in the BlackBerry Z10 is similar to the Nexus S, that is, 1.5 GHz dual-core. 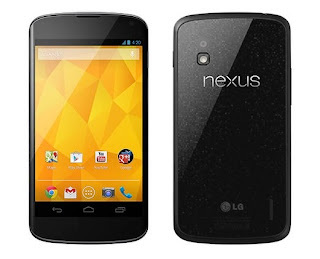 Overall, the Google Nexus 4 is ahead of the pack when it comes to performance because of its quad-core 1.5GHz processor and beefy RAM. The Blackberry Z10 and Google Nexus 4 weigh almost the same (around 138-139 grams). The screen size for Nexus 4 is 4.7 inches while the BlackBerry Z10 offers a relatively larger display than what the iPhone 5 offers. 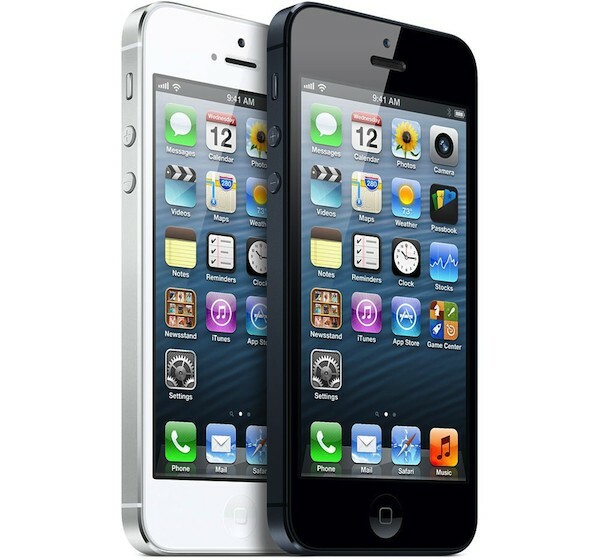 The iPhone 5 shoots ahead of the competition when it comes to weight weighing as little as 112 g. When it comes to display quality, the iPhone 5 may have a slight edge over the two because of its Retina Display. 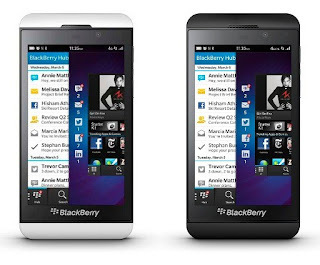 The BlackBerry Z10 comes with its completely revamped BlackBerry 10 operating system. With intuitive swipe-based UI, there is a lot more to this than just BBM. The OS comes with features like BlackBerry Hub, a clever keyboard, and an appealing user interface. That said, it's not good enough to beat the biggies like Android and iOS. iOS already has a huge user base to boast of. Android on the other hand is soaring like an eagle. Both Apple and Google have established their brands as two of the best in the smartphone industry. That said, as of now, Android is currently on top thanks to the huge amount of features Jelly Bean provides. The BlackBerry Z10 comes with NFC support, a feature that the iPhone 5 doesn't have. Another important feature the BlackBerry Z10 comes with is MicroSD card support. This is something that both Nexus and iPhone don't provide. Though the BlackBerry Z10 beats heavyweights like the iPhone 5 and Google Nexus 4 in many areas, its success is something that cannot be guaranteed. Despite its heavy potential many people doubt whether BlackBerry will manage to evangelize the already-saturated smartphone market. Nevertheless, the BlackBerry Z10 is a fabulous smartphone that has tremendous potential. As for the lingering question whether Apple and Google should be worried about it, the answer remains a resounding NO. what about the keyboard? which one is the most easiest to type on? There are a couple of other things that are actually not instantly tangible to compare but work subconsciously: like reliability or going berkserk (happens with Android a lot) and then the world of apps that are designed well and work really well. (iOS beats Android irrespective of what fanboys say or do). Till BB can achieve these two things, and then work on the quantity of features, apps etc., it would be a hard time.